The Smart Home market constitutes the sale of networked devices and related services that enable home automation for private end users (B2C). Considered are devices that are connected directly or indirectly via a so-called gateway to the Internet. Their main purposes are the control, monitoring and regulation of functions in a private household. The remote control and monitoring of individual devices and, if applicable, their direct communication with one another (Internet of Things), is an essential component of intelligent home automation. Therefore, services which are necessary for the maintenance or control of the household network are also considered, e.g. subscription fees for control apps or external monitoring services. The worldwide revenue of US$53.2 billion in 2018 is expected to increase to US$145.4 billion by 2023. In the Statista Digital Market Outlook Market Reports our analysts compile an overview of the segment and trends, market sizes, regional development, and key players. An overview of all Outlook Reports can be found here. The Internet of Things (IoT) is one of the hot topics when it comes to digitalization and disruptive changes to traditional industries. The globally rising number of connected sensors leads to more and more data. With the use of smart algorithms such as machine learning tools, this data can be used to control actuators. These sensors and actuators are what we generally call IoT. The IoT in the content of private households are what we call a Smart Home. The possibilities to automate processes in the domestic context are almost countless. 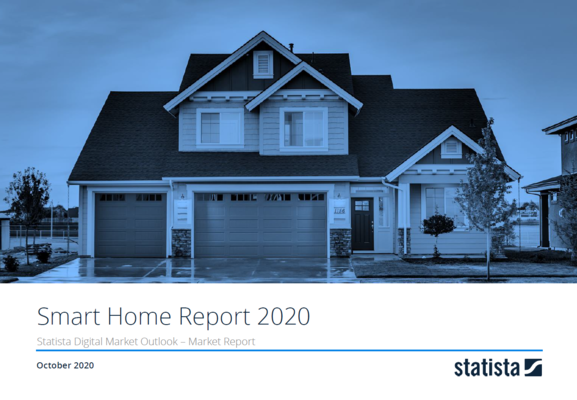 The report covers the whole Smart Home market which includes the segments Smart Appliances, Security, Control and Connectivity, Home Entertainment, Energy Management as well as Comfort and Lighting.